If you have not taken a trip down to the Fringe Festival this weekend that you are missing out! 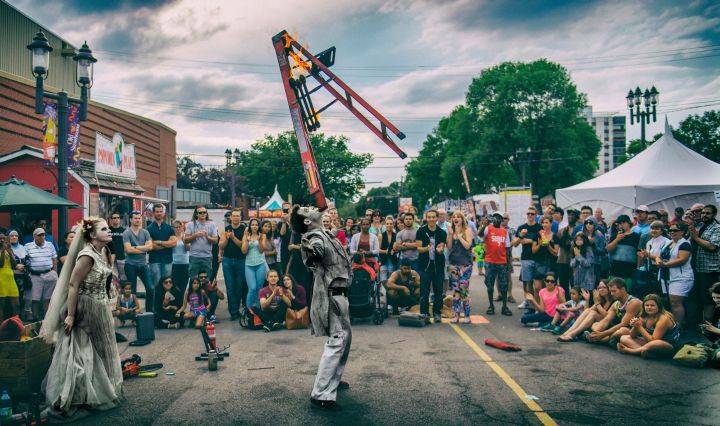 Outstanding street performers are balancing on 16 foot poles, juggling chainsaws, and blowing your mind with magic tricks. Delicious food trucks from all over will surely quench your appetite. Shops with quality hand crafted jewelry, clothing, paintings and much more. Finally, end it all with a cleverly concocted show that is sure to give you a laugh, a scare, a fit on unbelief, or a provocative thought to ponder on your way home. Come and join in on the oldest and largest fringe festival in North America. It will sure be the highlight of your week.